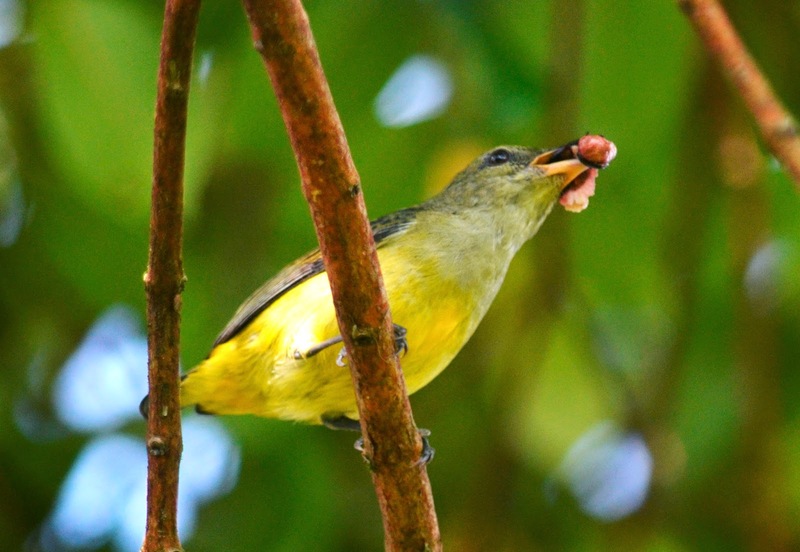 Orange-bellied Flowerpecker , female of the species with olive-green upperparts. 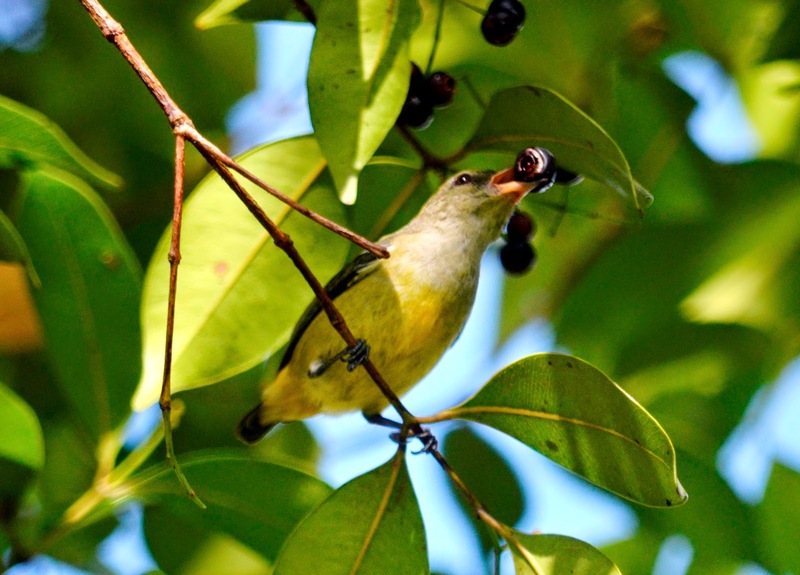 Been a while since I tried to obtain a clearer picture of the female Orange-bellied Flowerpecker (Dicaeum trigonostigma). I finally got the chance to come close to it today at my Kuching garden. It was seen alone and enjoying the ripe fruits of the Eugenia oleina. Obviously the size of the fruit was too big for its mouth to gulp. Thus she had to break it down into small bites to enjoy it fully. 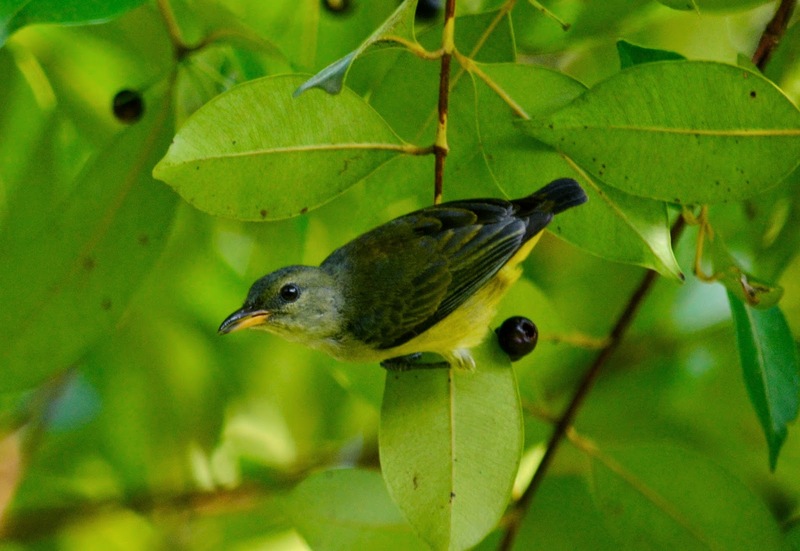 The female has olive green upper parts with grey chin and throat and the rest of the underparts pale yellow.